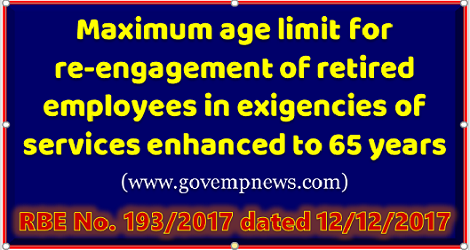 Sub: Revision of rates of subscription under Central Government Health Scheme due to revision of pay and allowances of Central Government employees and revision of pension/ family pension on account of implementation of recommendations of the Seventh Central Pay Commission. 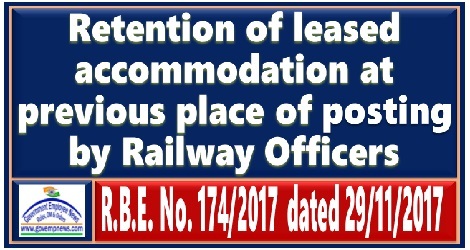 While thankful for fixing date for discussion on 28th December, 2017, we wish to avail this privilege to draw your kind attention towards certain important issues related to Railway’s working and in respect of certain problems of the Railwaymen which needs to be redressed on priority as the same are pending for quite some time, agitating the minds of the Railway employees. Reference: – This office important circular no. C-164, bearing no.G1/C/0199/Vol-I/Tech, dated 30th May 2017 . Balbir Singh Turn & Anr. Three ACP upgradation after 8, 16 and 24 years of service has been approved. The upgradation will take place only in the hierarchy of Grade Pays, which need not necessarily be the hierarchy in that particular cadre. Consequent upon the decision taken by the Government the recommendations of the Seventh Central Pay Commission circulated vide Ministry Expenditure Resolution No.11-1/2016-1C dated 06/07/2017 And Office Memorandum No. 6/1/2017-E.II(B) dated 19.07.2017, the rates of Project Allowance and Compesatory (Construction/Survey) Allowance have been revised w.e.f. 01.07.2017. Subject: Clarification on family pension admissible to NPS employees on their death attributable to Govt. service – regarding. 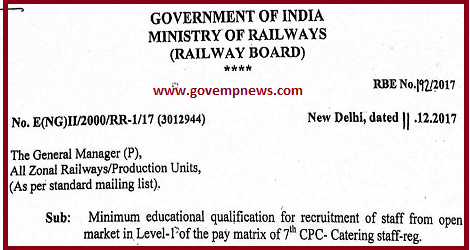 Sub: Minimum educational qualification for appointment in Level-1 of the pay matrix of 7 CPC on compassionate grounds. Attention is invited to instructions issued vide this Ministry's letter under RBE No.73/2017 dated 27.07.2017 and RBE No. 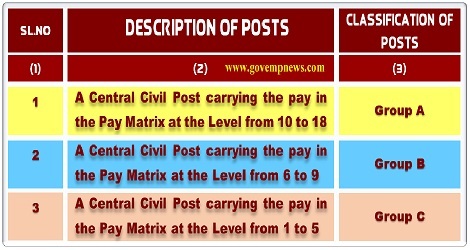 192/2017 dated 11.12.2017, laying down minimum educational qualification for recruitment of staff from open market to posts in Level-1 of the pay matrix of 7th CPC (earlier Grade Pay 1800/-), through all modes, against direct recruitment quota in various departments. 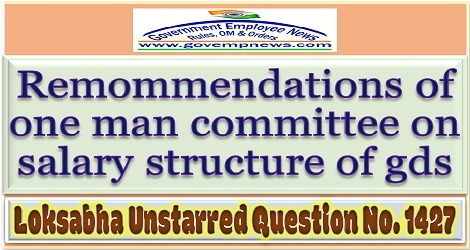 Since, appointment on compassionate grounds are made against direct recruitment quota vacancies, the qualification prescribed for posts against direct recruitment quota are equally applicable for considering appointment on compassionate grounds. 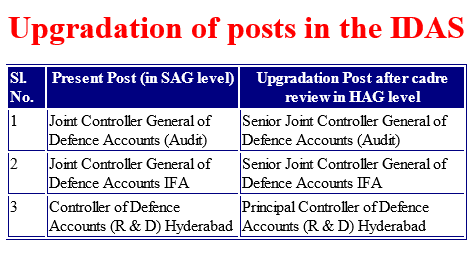 Sub: Reckoning of service for entitlement of Post Retirement Complimentary Passes-reg. (ii) Railway Board’s No. E(W)2006/PS5-1/28 dated 18/04/2007 (RBE No. 61/2007). 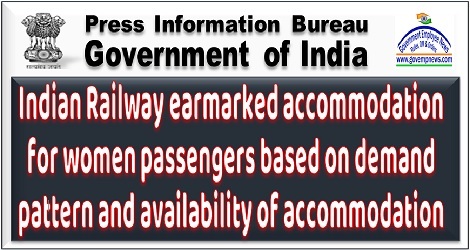 (iii) Railway Board’s No. E(W)2006/PSS-1/28 dated 08/05/2008 (RBE No. 65/2008). 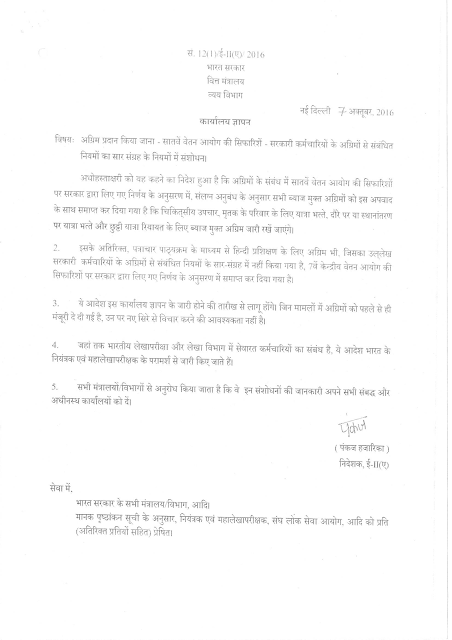 (iv) NFIR’s letter No. I/15/Part III dated 28/09/2015. Sub: Grant of PCO Allowance to the staff of production control Organizations on India Railways-reg. The eOffice-Lite (SPARROW) portal is already operational for serving DoT Officers (ITS, IP&T AFS, IP&T BWS and IRRS Cadres) for filling up of Performance Appraisal Reports(PARs) from the year 2016-17 onwards. Subject: Grant of Advances - Seventh Pay Commission recommendations Amendment to Rules of Compendium of Rules on Advances to Govt. Servants reg. The undersigned is directed to forward herewith a copy of Ministry of Finance, Department of Expenditure O M No. 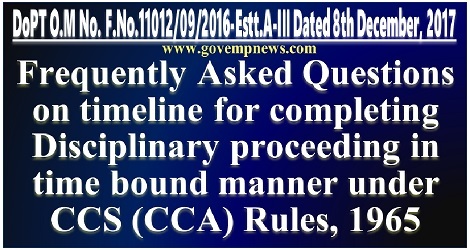 12(1)/E.II(A)/2016 dated 7th October, 2016 on the subject cited above for information /necessary action. 2. Sr. PPS to Secretary (T)/Chairman, Telecom Commission, New Delhi. 4. PPS/PS to Director General Tele com. 6. All Advisors/S r. DDGs ofDoT field Unit. Subject: Grant of advances - Seventh Pay Commission recommendations - Amendment to Rules of Compendium of Rules on Advances to Governmnent Servants . The undersigned is directed to say that in pursuance of the decision taken by the Government on the Seventh Pay Commission‘s recommendations relating to advances. all the interest free advances stand discontinued as per attached annexure. with the exception that the interest free Advances for Medical Treatment. Travelling Allowance for family of deceased. Travelling Allowance on tour or transfer and Leave Travel Concession shall be retained. 2. ln addition, the advance for training in Hindi through Correspondence Course. which is not mentioned in the. Compendium of Rules on Advances to Government Servants. 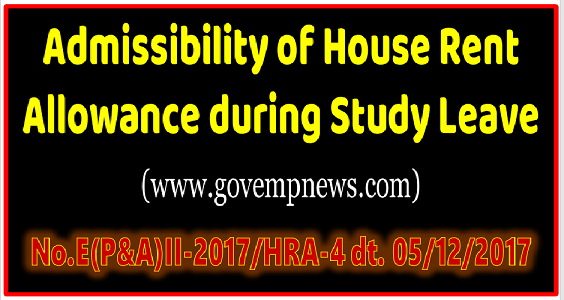 also stands abolished in pursuance o'l the decrsron ot Government on 7th CPC recommendation. 3. 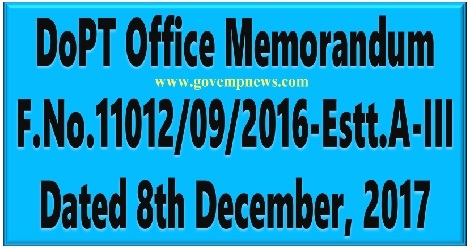 These orders will take effect from the date of issue of this OM. The cases where the advances have already been sanctioned need not be reopened. 4. In so far as persons serving in Indian Audit and Accounts Department are concerned these orders issue in consultation with the Comptroller and Auditor General of India. Sub: Minimum educational qualification for recruitment of staff from open market in Level-l of the pay matrix of 7th CPC- Catering staff-reg. 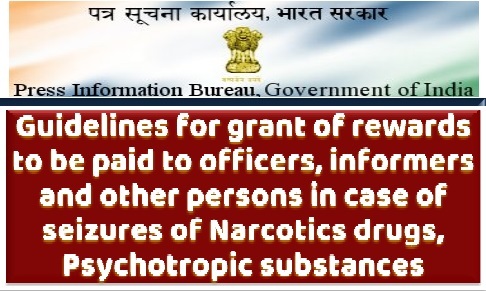 The Government of India has issued new reward guidelines called “The guidelines for grant of rewards to be paid to the officers, informers and other persons, 2017” on October 10, 2017 to regulate the grant and payment of reward to informers and government officers. Sub: Recommendations of the Seventh Central Pay Commission-Implementation of decision relating to Special Allowance for child care for women with disabilities. A copy of approved Correction slip No. 01/2017 on the above subject is enclosed herewith for further necessary action. Difficulties being faced by the defence pensioners in obtaining the legal heir-ship-certificate, for payment of arrear of pension Where valid nomination has not been made under payment of arrear of pension (Nomination) Rules, 1983 and payment of arrear of family pension, were drawing attention of the Govt. since long. (i) Under the order of the Pension Disbursing Authority to the heir Without production of legal authority, if the gross amount of arrears of pension claim does not exceed Rs. 25,000/-, provided he is otherwise satisfied about the right of the claimant. 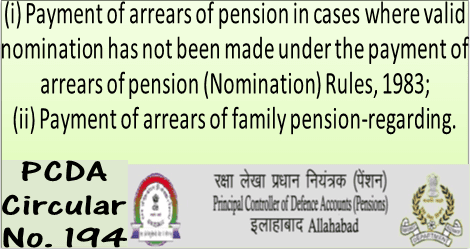 (ii) If the gross amount of arrears of pension claims exceeds Rs 25,000/- but does not exceed Rs 2,50,000/-, under the orders of Principal Controller of Defence Accounts(Pension) on execution of an Indemnity Bond in Form IAFA-642 duly stamped for gross amount due for payment with such sureties as may be deemed necessary and accepted on behalf of the President by an officer duly authorized under article 299(i) of the Constitution. (iii) In case of any doubt and also in cases where the amount of arrear exceeds Rs 2,50,000/- payment shall be made only to the person producing the legal authority. 4. This Ministry letter No. 1(16)/2009-D(Pen/Policy) dated 15.03.2010 stipulates that in the event of death of family pensioner, the right to receive any arrears of family pension would automatically pass on to the eligible member of the family next in line. The requirement of succession certificate for payment of any arrears occurs only where there is no member in family who is eligible to receive family pension after the death of the family pensioner. Therefore, it has been decided that the provision of this letter will also apply to the payment of arrears of family pension where no member of family is eligible to receive family pension. Clarification on benchmarks for promotion to administration grades on numerical grading for the APARs prior to year ending 2017. Sub: Clarification on benchmarks for promotion to administration grades on numerical grading for the APARs prior to year ending 2017. 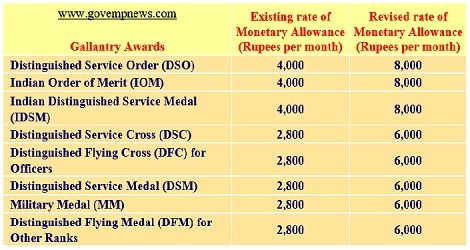 Enhancement of monetary allowance attached to the Pre-Independence Gallantry Awards. 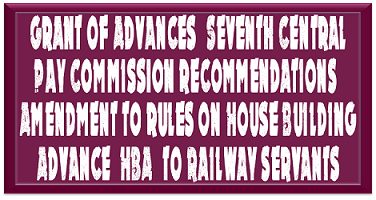 Sub :- Implementation of the recommendations of Seventh Central Pay Commission – Revision of the rates of Railway Board Tenure Allowance applicable to the officers of Organized Group `A’ Railway Services on their appointment as Deputy Directors/Joint Directors/Directors in Railway Board’s office. 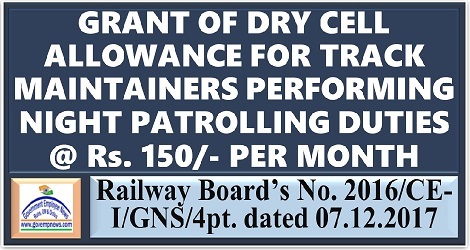 The officers of Organized Group `A’ Railway Services posted as Deputy Directors, Joint Directors and Directors in the Railway Board are entitled for the payment of Railway Board Tenure Allowance in terms of Board’s letter No. 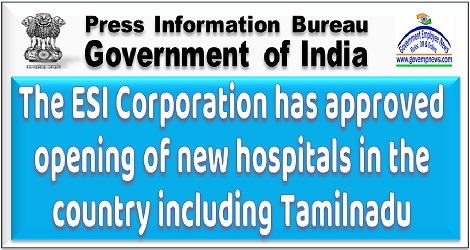 PC-VI/2008/I/7/5/3 dated 14.10.2008 (S.No. PC-VI/36, RBE No. 154/2008). 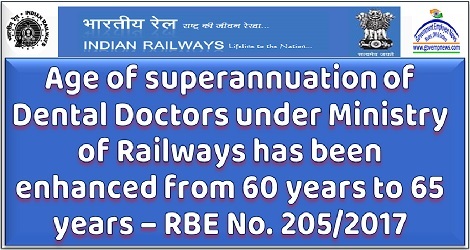 Sub: – Implementation of the recommendations of Seventh Central Pay Commission – Revision of the rates of Tenure Allowance to officers of Organized Group `A’ Railway Services posted as Deputy Directors, Joint Directors, Directors and Group `B’ officers when posted against senior scale post in RDSO. Kindly refer to Board’s letter No. PC-VI/2008/1/7/5/3 dated 27.03.2009 (S.No. PC-VI/94, RBE No. 58/2009) on the above mentioned subject. 7th Pay Commission: Central Government employees union to meet PM Modi. 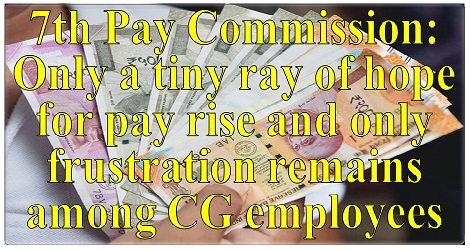 It is all over for Central Government employees who were already frustrated with the 7th Pay Commission recommendations. Now it is up to the federations to take up the matter with the Prime Minister and hope that he would hear them out. The question is will the meeting with Narendra Modi help. It would all depend on the mood of the government and also how serious the federations are about the cause. Subject: Enhancement of monetary allowance attached to Jangi Inam (a Pre Independence Gallantry Award). I am directed to refer to this Ministry’s letter No. 7(119)/2008-D(AG) dated 30th March, 2011 on the above subject and to convey the sanction of the President to the enhanced payment at the following rate to all categories of Jangi awardees and their legal heirs of World War I (Two lives) and World War II (one life only) with effect from 1st August, 2017. Subject: - Discontinuation of execution of bond for direct recruit candidates as provided under Appendix 21 of P&T Manual IV.